One of the things I've always wanted to do is to visit an olive farm, especially this time of the year when the harvest is beginning in many parts of the Northern Hemisphere. The best method to harvest olives, is done by hand where workers have nets around their necks or waists to drop the fruit into. Olives picked like these are the ones we eat, because they have not been damaged or bruised. Sometimes, the branches are cut from the trees and then the fruit is separated from it, which in turn helps the tree for future production. 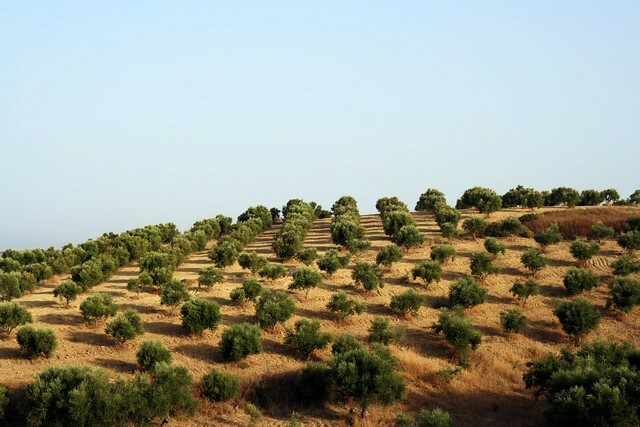 There are olive groves throughout the Mediterranean, the Middle East, California, Peru and Chile. In the case of Peru and Chile they will not be harvesting the olives right now because they are entering Spring time. But, if you are in Italy, France, Spain or the Middle East, you can take advantage of the harvest all the way through December in some place. Olive trees are one of the strongest because they resist the most extreme conditions of cold and heat. It's been proved that many olive trees near the Mediterranean and the Middle East, are as old as 2000 years, some of the dating back to Roman times. The olive tree and its branches have been a symbol of peace and victory for centuries. Olive branches have been used by brides and olive farms have become very popular, amongst them, as the place to hold wedding parties. Have a great and peaceful day! I think one of these would be quite wonderful to visit as well. Happy October! since I'm half Italian, this is something that I've always wanted to do. I love olives! Although because of the warm weather I'm dreaming of being someplace cooler than an olive grove lately! Hope all is well Elie! I've seen olive trees in Croatia and they`re really precious! I'd love to see an olive tree! Beautiful images. Never had I seen an olive tree until I went to Italy. I was astonished by their beauty. I hope you too have a peaceful day! We have two olive trees. They grow nicely in Texas which we were surprised about. One was a gift from my parents and came all the way from Greece (they brought it over) and the other one I gave my husband as his family used to have them to make olive oil....so he is very fond of them....I was thinking for Christmas to cut some of the branches and decorate the table with them. beautiful! i stayed at a place in croatia once and the owner made his own olive oil from trees grown on the grounds, it was so cool! A friend was telling me about a trip recently where she stayed in a villa that had olive trees - the were pressing the oil and she made it sound so cool. Great and interesting post hun, I went to an olive farm in Seville, it was so fascinating and we got to do olive oil tasting as well, which was completely new to me. 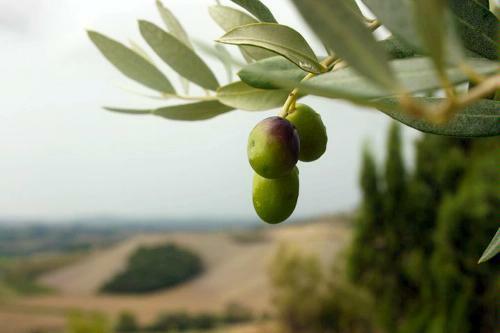 If you have an olive farm around you, please go for a tour! I know you will love it! nice post! hope u had a peaceful day as well! beautiful images! a subject near to my heart as a greek girl!